Learn more about Barranquilla women and discover why they make ideal lifetime partners! BarranquillaSingles.com is one of the world’s largest and most respected foreign singles’ introduction and tour services. Established in 1995, we were among the very first international online matchmakers and singles’ tour companies and have grown to be the most reputable and hands-on organization amidst the leaders in the singles’ industry today, may it be domestic or international. Our site focuses on gorgeous single Barranquilla women. Our remarkable matchmaking services strive to assist men who are interested in meeting and dating these beautiful ladies with the possibility of marrying them in the future. We currently maintain offices within Colombia and conduct regular international singles’ tours each year. Individual tours are also available 365 days a year. 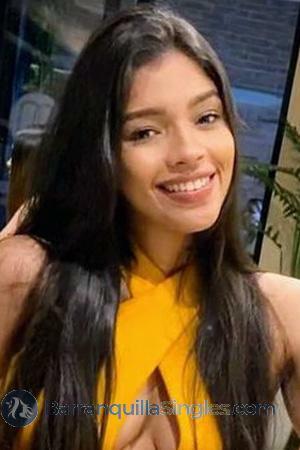 Once you register for free at BarranquillaSingles.com, you will not be limited to exploring only the stunning single women from Barranquilla. You shall also have access to other single ladies from around the world because of our worldwide organization. You may find out more about our services and especially how you can meet Barranquilla women with the extensive information provided through our website. Our corporate headquarters is located in the United States. With over 100 corporate employees worldwide, we own and operate offices in all of the cities where we conduct our world-famous singles’ tours. For over two decades, we have developed a network of hundreds of affiliate matchmakers and marriage agency offices spanning four continents and nearly 20 different countries. The doors of all our corporate offices are always open. Our phones are always answered within a few seconds only. That being said, we invite you to visit or call us whenever you wish during normal US business hours. BarranquillaSingles.com is the product of endless hours of research, two decades of hard work, a multitude of talented people, and a vision of a service that could facilitate users from all over the world in meeting each other for acquaintance, friendship, and marriage. That vision has now become a reality as we are currently responsible for hundreds of marriages each year! As a matter of fact, the founding partners, as well as many of the staff of our company, have met and married their beautiful foreign brides using the services we have developed. Our network and services are no stranger to the media, garnering more worldwide media attention than any other company in the singles’ industry. We have been featured on 60 minutes, Inside Edition, The Today Show, Nightline, Dr. Phil, We TV, National Geographic’s Bachelors Abroad, The Maury Povich Show, The X Show, as well as news shows on all the major networks, including ABC, CBS, NBC, FOX, A&E, and BBC to name a few. Samples of the print media platforms which have featured our services are Time, the Washington Post, the New York Times, Maxim, Penthouse, Marie Claire, Saturday Night, St. Petersburg Times, the Philadelphia Inquirer, the Arizona Republic, the Sacramento Bee, among many others. We were also featured in several radio programs such as Loveline and the USA Radio Network. Moreover, we have been the subject of numerous documentaries, including the documentary Love Me on Netflix and the feature film Two Brothers and a Bride. We sincerely believe that after all is said and done, the most important factor in this service-oriented business is trust. The men and women who submit their names, personal information, and photos must trust us to display and protect them properly. You, as the user, have to trust that the member’s information you are receiving is current and from people who genuinely want to meet someone for a special relationship. We understand our responsibilities and are certain that we will gain your confidence as you use and become familiar with our system. Your first step to do this is to register now for free and without obligation. 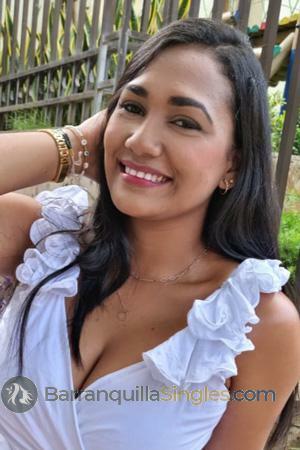 We guarantee that looking for love, as well as dating in Barranquilla, will be made safe and convenient for you so that you may have a memorable experience as you eventually find your one true love among the beautiful Barranquilla women. Our infrastructure and customer service are unmatched in the singles’ industry today. It is quite far from a fully automated, mindless machine simply spitting data back and forth. Our infrastructure is backed by literally hundreds of real, live matchmakers worldwide, all working for you, as well as support staff of dozens of people to ensure that everything works seamlessly and efficiently. If you ever have a problem with our system, employees, or any of the Barranquilla singles you meet or correspond with, PLEASE CALL US! We are completely committed to serving you. It is our number one priority, and we will do everything within our power to ensure that you are satisfied! We are one of the very few established companies that offer both group and individual singles’ tours to destinations all over the world so that you can actually meet, date, and eventually marry the woman you have been communicating with. You can also check the tour schedules. We aim to make sure that you will have an unforgettable experience with Barranquilla dating. If you have any questions, concerns, or comments about our services, again, please feel free to contact us. You will find our phone number and contact information at the bottom of nearly every page of our website. Again, we sincerely appreciate the fact that you have considered using our service. We look forward to assisting you in your search and perhaps, changing your life forever.